Toasted Sandwich With Bacon, Tomato, Cucumber And Lettuce. Front View. Fotos, Retratos, Imágenes Y Fotografía De Archivo Libres De Derecho. Image 118519519. 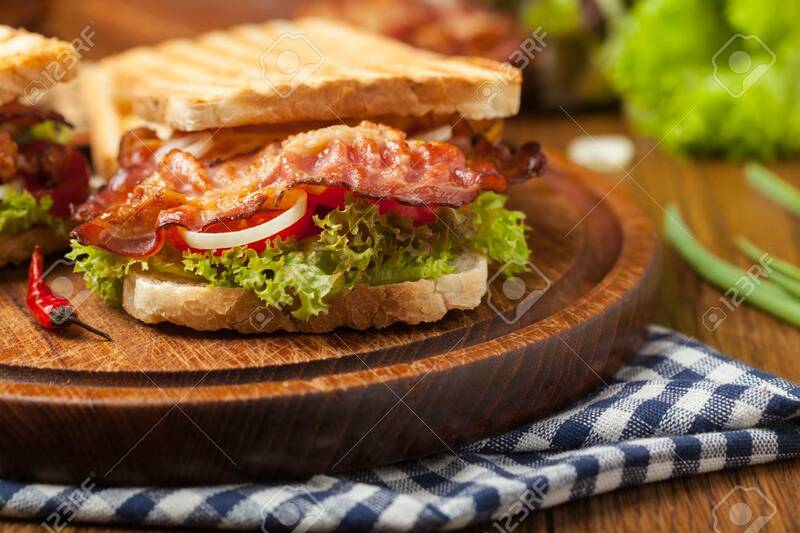 Foto de archivo - Toasted sandwich with bacon, tomato, cucumber and lettuce. Front view. Toasted sandwich with bacon, tomato, cucumber and lettuce. Front view.